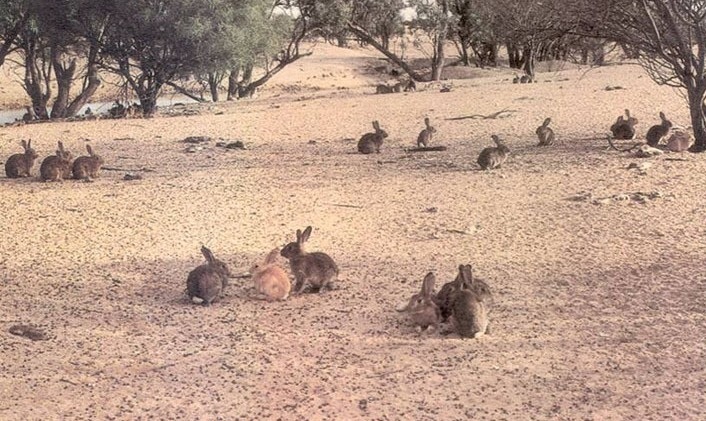 RabbitScan is a new 'citizen science' project involving people all over Australia. 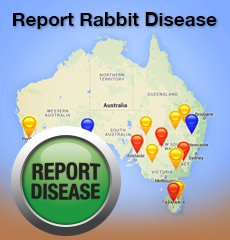 RabbitScan provides a free web-site for you to record rabbit information for your local area. The site will assist farmers, community groups, and individuals with the management of rabbits and reducing the damage they cause. Rabbit populations are increasing across the country (largely due to widespread rainfall) and landholders, scientists and community groups are concerned their numbers will reach plague proportions. A free website and mapping tool to help you map rabbits, rabbit damage, and areas where rabbit control is being undertaken. This will help manage rabbits in your local area, and help to track the problem over time. Whether you are a landholder, landcare or community group, local council or school, RabbitScan can help you access resources, connect with others in your area, share information and find out about available funding support. Join RabbitScan to map rabbits in your area and help build the RabbitScan knowledge base for your area. RabbitScan can help you map rabbit hotspots, areas where damage is most severe, and where you are controlling rabbits on your property. This can help you with your property plan and the management of rabbits in your local area. RabbitScan will provide a facility to allow you to PRINT maps with your data for your property (or local area). RabbitScan can also help you to access essential information and resources to address rabbit problems. The RabbitScan project is part of a national FeralScan Citizen Science program designed to support landholders, community groups, and anyone with a feral or pest animal problem anywhere in Australia. The project is an initiative of the Invasive Animals Cooperative Research Centre (IA CRC) in partnership with NSW Department of Primary Industries, Australian Bureau of Agricultural and Resource Economics and Sciences, Caring for our Country, Woolworths, Toshiba, Landcare Australia, Western Catchment Management Authority (NSW), Ninti One Limited, the ABC, and community groups Australia-wide.